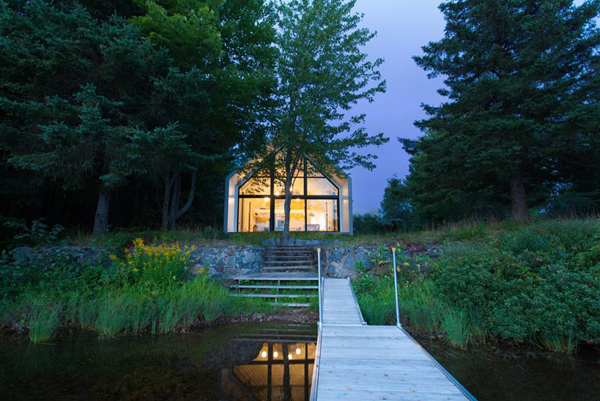 A holiday house on the shores of Lac plaisant in Quebec, Canada is really integrated with nature. 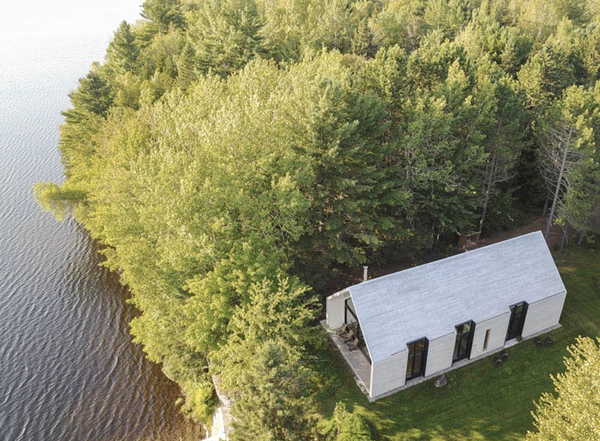 It is a warm cabin with a simplicity to appreciate the natural surroundings and the lake. 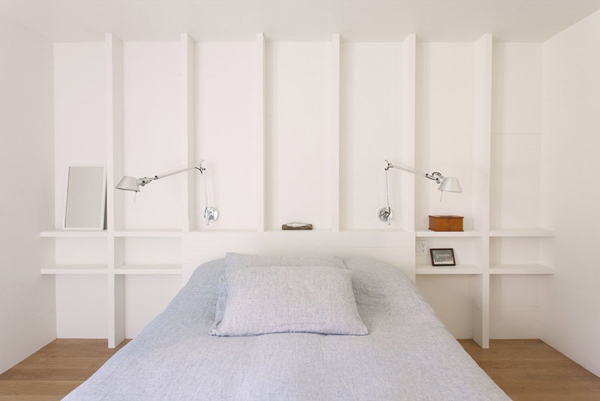 Designed by Architects Marie-Claude Hamelin and Loukas Yiacouvakis from YH2, they successfully completed a holiday house that will make you dream to spend the weekend there. Here’s what you need for a nice family holiday. A window on the lake: the very essence of the cottage. 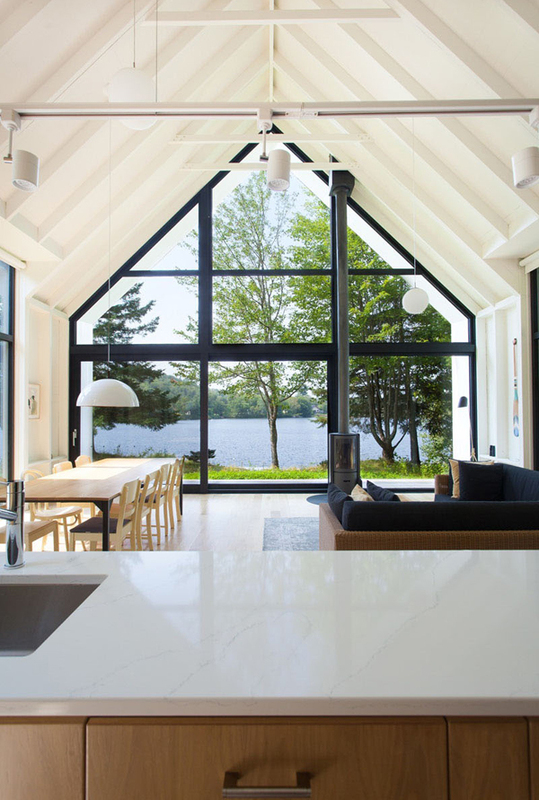 A warm, simple wood dwelling open to nature and a peaceful lake. The house stands on the site of an old family cottage, just steps away from the shores of Lac Plaisant in the Mauricie region. 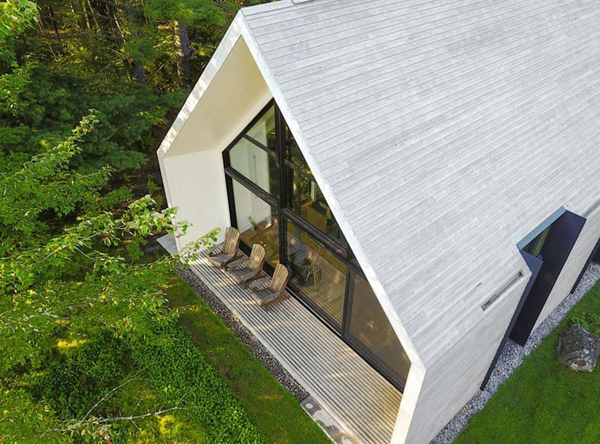 Thanks to its simplicity, restraint and refinement, the project embodies the architect’s attempt to capture the essence of cottage life – a wooden home designed for vacations and enabling true communion with nature. 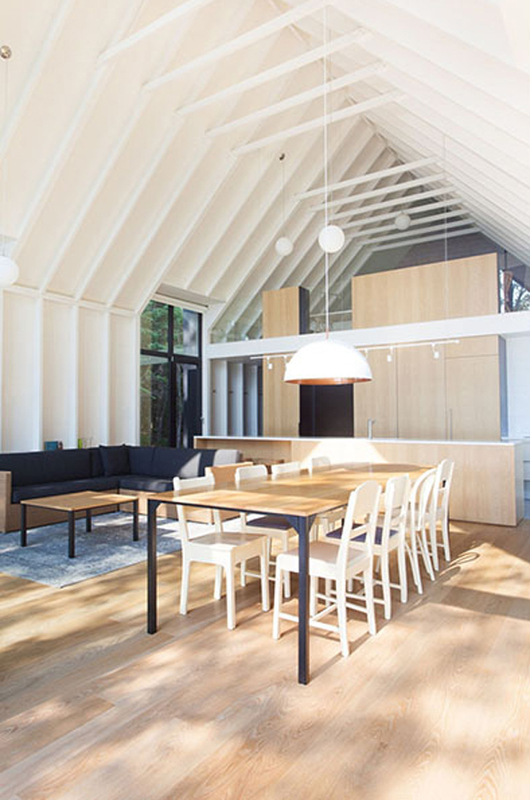 Featuring wood construction inside and out, the house’s single large gable covers all living spaces. 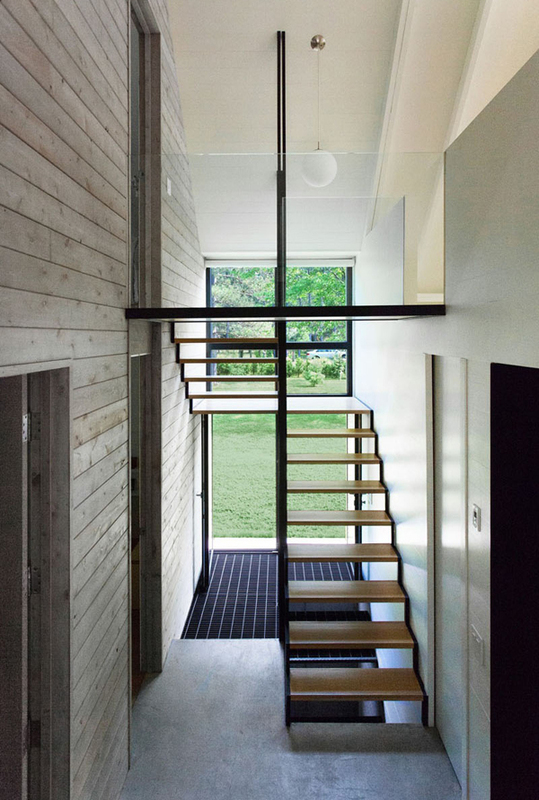 Sited in a small clearing, its foundation invisible, the home is a pure, light volume resting on a grassy carpet. Its architecture is restrained and its scale modest, in tune with the clearing and lake. 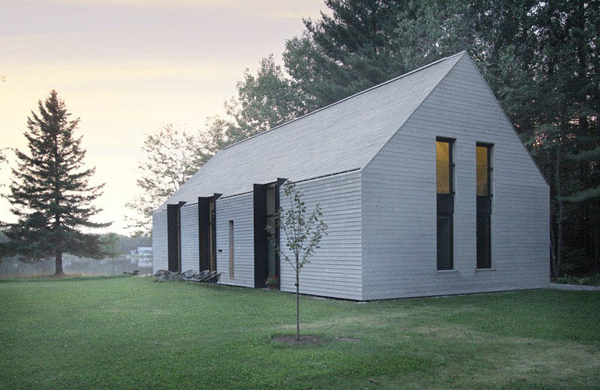 The exterior, both roof and walls, is clad entirely in white cedar boards. 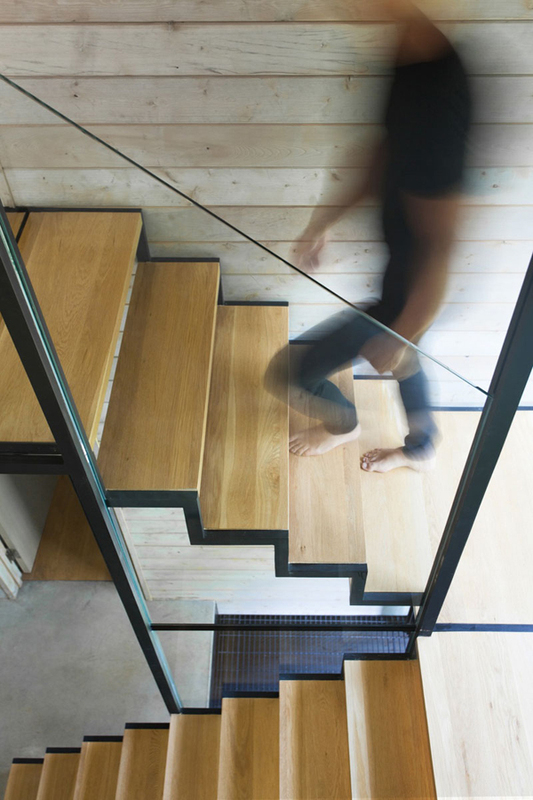 Both of the building’s long sides feature three large, tall glass panels, allowing seamless transitions between interior and exterior spaces. 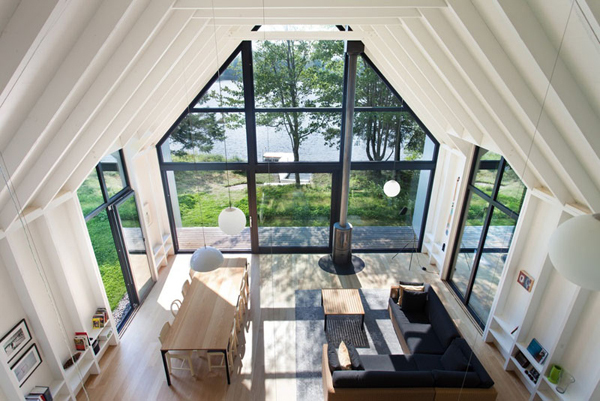 The south side is all glass, creating a direct link between the lake and the living spaces, arranged under a large double-height gable extending outward to cover a small porch. 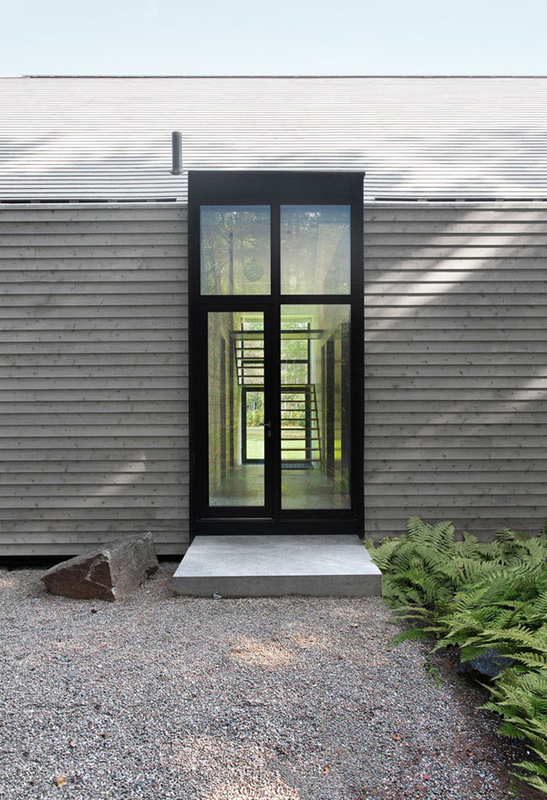 The full transparency of the southern façade lets in ample sunlight in fall and winter, while the mature trees standing between house and lake moderate the summer sun and provide a high degree of privacy in boating season. 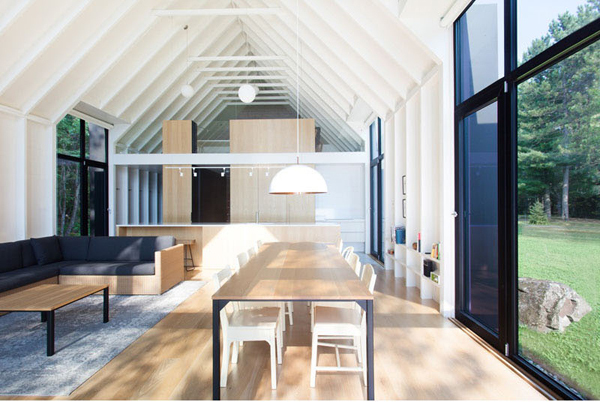 The balloon frame, with its exposed wooden studs and joists painted white, gives the building a unique rhythm of shadow and light. The cottage has a relaxed character. It is a true family cottage that can sleep up to 12 in two ground-floor bedrooms and a large, open sleeping area on the second floor. 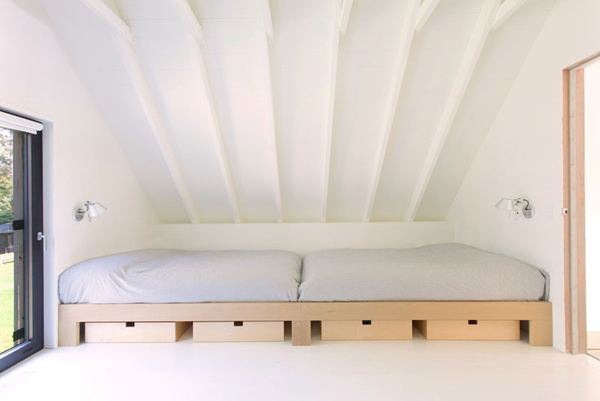 This is the cottage as an expression of the art of living: a gentle, simple, pure way of life.